Over the last five years (2009–2014) a recurrent theme has been shared by several film directors in Eastern Europe.This generation of directors were born from the mid-70s onwards and their childhood was spent in the last throes of the Soviet system. The Iron Curtain, pioneer summer camps, songs and group exercises and communist imagery populated their world. These were the symbolic projections of a universe that collapsed at the end of the 80s. Today, from the perspective of their creativity and entry into adulthood, they present their viewpoint, 25 years after the collapse of the main physical representation of that separation: the Berlin Wall. From the distance granted by the passage of time but from the proximity of personal experience, we are assailed by approximations to the image of ourselves far removed from the dichotomies of the early years. It is a nostalgic look, at times comical and self-critical, often surprising and sometimes more analytical. They address, in turn, the fascination projected by the West, the seduction that sparked off the new youth cultures, and the attractive images that filtered through the cracks of the wall. An imaginary curtain that acted as a dam off a capitalist system that ended up imposing its principles on almost the whole world, and that has continued its flood up to the present time. They reflect on how the other side was viewed, from the viewpoint of young people, the question as how the projected image is matched up, and how as a society they looked at or imagined the other, placing us before an unimaginable mirror image. “Off The Wall” special program will be celebrate in several festivals around Europe and America during 2014 and 2015. The idea is to share the human experience of living in Eastern Europe with the audiences in the West, in order to establish a better understanding and dialogue between the two sides of the continent. The aim of the project is to present the work of a new generation of filmmakers from countries with a long history, facing a new reality. It’s to draw attention to the recent history of a fundamental part of Europe, taking a fresh look but with the heritage of a long tradition in cinema. 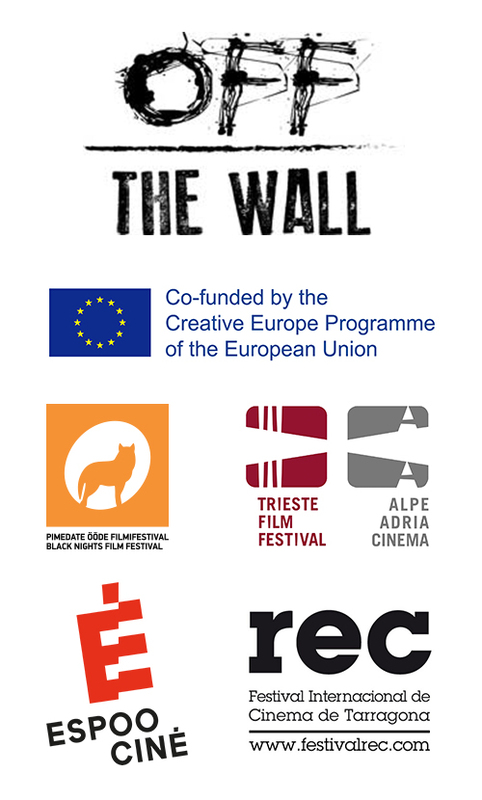 “Off The Wall” gathers different films around a strong concept and appealing topics, emphasising their qualities and value while raising interest in Eastern European films among new audiences. Therefore, the main objective of the project is to increase the visibility and accessibility of new and emerging European filmmakers from smaller countries for Western European audiences.